Thank you to Brian Genetti, a descendant of William Vigilio Genetti, for sending me a wonderful photograph of his great great grandparents! During the past year I’ve received many requests from this branch of our family who settled in Illinois. All have contributed information to our growing family tree. 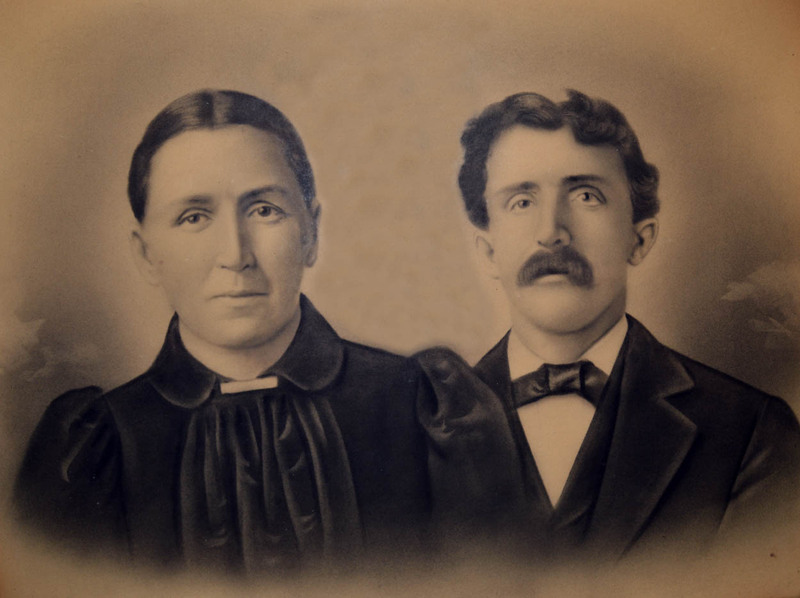 The photograph of William Vigilio Genetti with his first wife Maria Dolzadelli may be their wedding portrait, probably photographed sometime in the 1880’s. According to census records they had six children. Maria passed away in 1907 and Vigilio later remarried. He and his second wife, Margaretha, had three more children. Today there are many descendants of this family living in the United States. Stop by the Photograph Gallery at the Genetti Family Genealogy Project to see this photo and many others. Click here!